This is my third trip to Durango and the first time I have stayed overnight. 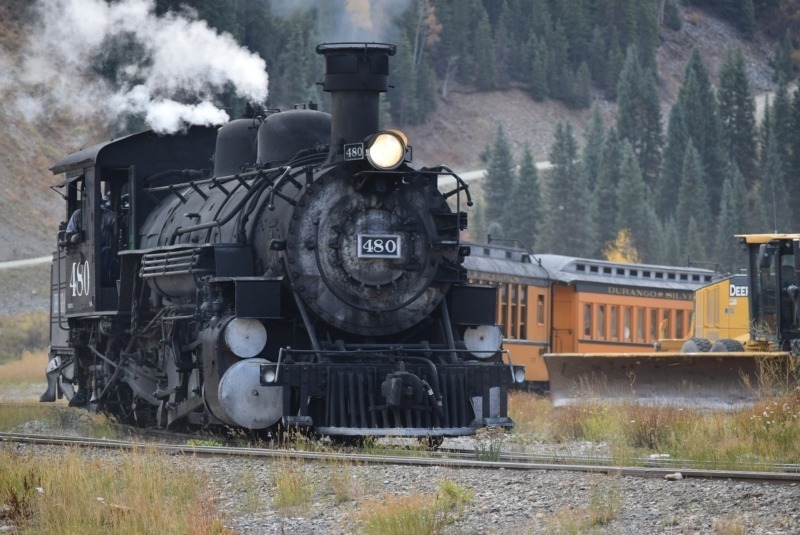 The plan was to spend two nights and finally ride the Durango & Silverton Steam Train round-trip from Durango to Silverton. I had been to Silverton once before when I drove the so-called “Million Dollar Highway” with Stan Perry on our Epic 1977 On/Off Road Trip Across the West. But I had never ridden the train. In the summer of 2004, my wife and I built a new cabin in the Prescott National Forest in Arizona’s Central Mountains. Iron Springs is on the edge of a mostly ponderosa pine forest, transitioning to mostly oak, juniper, and piñon pine. Over time, extended drought has thinned the ponderosas, infecting them with bark beetles and the area has dried considerably. 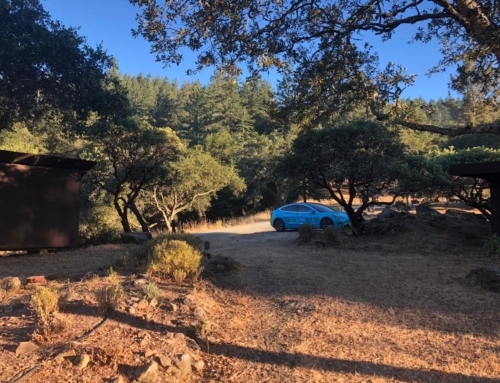 Several years after building our cabin, the community of cabin owners voted to become a Firewise® Community, which involved having the state forestry agency conduct a wildfire risk assessment and then taking steps to mitigate the risks. Then, at 11:00 AM on June 8, 2013, while we were away, a careless target shooter at Doce (pronounced dough-sea) Pit, just south of Iron Springs, started a wildfire that threatened our community. It was only a chance change in wind direction that sent the fire in a different direction. By 7:00 PM, high winds had pushed the fire over the top of Granite Mountain and down to Williamson Valley Road, a scenic residential area with horse ranches throughout. By then, the fire had burned over 5,000 acres. When it was fully contained, the Doce Fire had consumed 6,767 acres, led to the evacuation of 480 homes and over 100 horses. Had the fire continued into our community, a wildlands fire driven by high winds would have very likely overcome the community before the fire department got out of the garage, as we have no fire hydrants and scant water pressure. Forest Management, Climate Oscillation, or Anthropogenic Climate Change? Observers have noted that heightened temperatures and resulting aridity have caused fires to spread across an additional 16,000 square miles than they otherwise would have — an area larger than the states of Massachusetts and Connecticut combined. Some say this increase is caused by poor forest management—that the U.S. Forest Service’s actions in putting out (suppressing) the natural fire cycles of forests is building up fuel. Others state that natural climatic oscillation over the Pacific Ocean has been steering storms away from the United States’ West Coast. Recently, there has been a “drumbeat” of claims that anthropogenic climate change (APP) is the culprit. So, who is right? Wildfires are an example of what is known as a reinforcing loop or positive feedback loop. According to the American Forest Foundation, “In addition to threatening lives, destroying homes, damaging forests and wildlife habitat, wildfires emit large quantities of carbon dioxide (CO2), as well as other greenhouse gases (GHGs) and air pollutants such as methane (CH4) and nitrous oxide (N2O).” Furthermore, forest fires also release stored carbon (sequestered in the trees that are destroyed). So, the more the forest is burned, the higher the levels of GHGs released in the atmosphere, the higher the temperatures and resulting aridity, the more the forest is burned, and so forth. 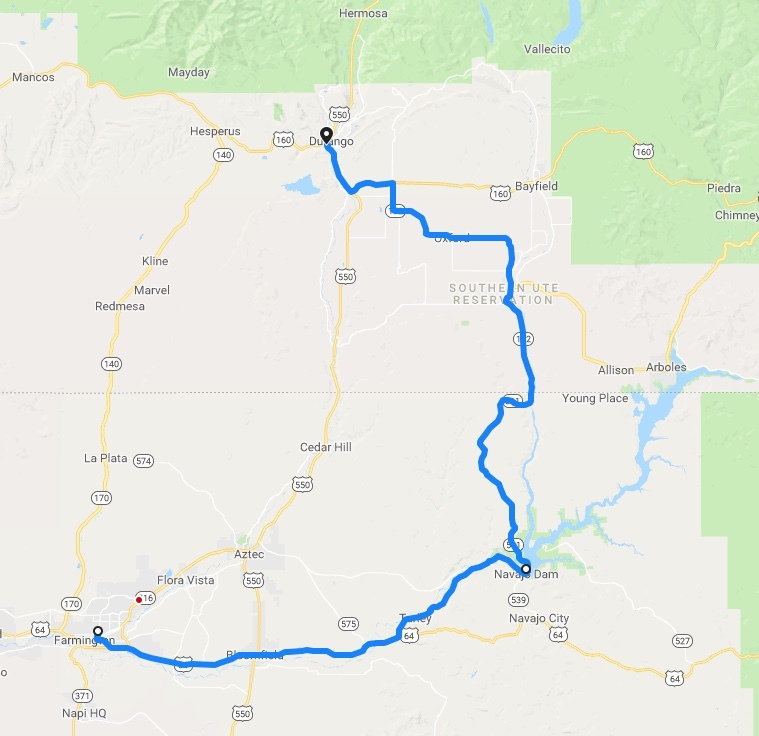 Just as important as planning a boating trip in the Caribbean during Hurricane Season, the Western U.S. road tripper must keep vigilant on wildfire information along planned routes as road closures are certainly a possibility during the summer wildland fire season. InciWeb is an interagency all-risk incident information management system designed to provide the public with a single source of incident related information, but the best sources of information can be found on local wildfire agency websites. Ideally, when it looks like you might face a closed road situation, it is best to start thinking about an alternative route. For example, the 416 Fire, which started on June 1, about 10 miles north of Durango, Colorado, has burned ~51,000 acres as of this afternoon and has cancelled our treasured reservation for the Durango & Silverton Narrow Gauge Railroad roundtrip from Durango to Silverton. I watched daily as their website updates kept pushing the date of cessation of service forward until it overcame our reservation date. They refunded our reservation and luckily we were able to change our hotel reservations without penalty and luckily, our friends in Telluride offered to put us up for 2 nights instead of one, so we are off to Telluride in the morning. The irony here is that it was the train itself that likely caused the fire. It is a vintage train that burns coal and of course, burning coal is one of the dirtiest forms of combustion and according to the locals we spoke to, the train often starts fires. However, in an APP stressed forest (higher temperatures and increased fuel aridity), the risk of a much larger fire is greater. As I was planning the sustainability part of the trip, I reached out to Kiki Hooton, a 2017 graduate of the Master of Sustainable Solutions degree program at ASU’s School of Sustainability. Kiki is now Programs and Membership Director for Local First Durango. When I explained what I was trying to achieve through this trip and mentioned that I would be in Durango, Kiki put me in touch with the Durango Electric Vehicle Enthusiasts (DEVE), a local group that promotes, educates and advocates in support of plug-in electric vehicles and charging infrastructure in the four corners region. I contacted the organizer, Sarah K. and explained what we were doing and she invited me to speak to a membership meeting on July 2 (tonight). I had a great time presenting and answering questions and Neo also chimed in on his experience driving the Model 3 and we chatted and shared stories with a very passionate and diverse group of EV enthusiasts. This is the first of many meetups of Tesla and other EV owners and enthusiasts on the route. Neo was inspired by the conversations, and is now seriously considering giving up his 2017 Mustang for a used Tesla Roadster. Hi John thanks for your excellent discussion of the reinforcing loop caused by fires. This brings back all kinds of memories — I funded my college education at Utah State University by working at BIFC — the Boise Interagency Fire Center, now the National Interagency Fire Center. We spent many summers putting out forest and range fires from Alaska to Washington, Idaho and Utah. I’m now a committee EV owner with a Highlander Hybrid, Chevy Volt and on my 2nd Model S. We drove on Superchargers from home in Minneapolis to Rosalia (Spokane) and back a couple of summers ago and the only weak spot was Gillette, where we had to top up at the Crazy Woman RV Camp — the name made it worth the wait. I”m loving your blog and look forward to more. We have a huge EV/Tesla group here in the Twin Cities and I”ll pass your web/blog on to the group. By the way, the site is absolutely lovely, can you tell me how you did the Timeline under the destinations tab, and/or what is the source of the website?